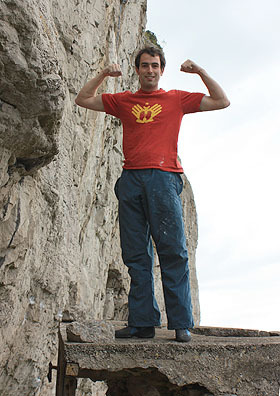 Chris – King of the Box – Doyle has completed another hard link on the Pill Box Wall on the Marine Drive, Llandudno. 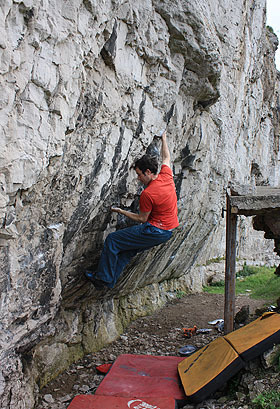 Chris has done many fine problems and link ups on this steep wall of immaculate limestone, but Last Drink 8A+ is arguably the best of the bunch. It manages to take in nearly all of the best features and finishes in grand style with a brilliant up line which lands you on top of the Pill Box itself. The problem is essentially Drink Driving (i.e. 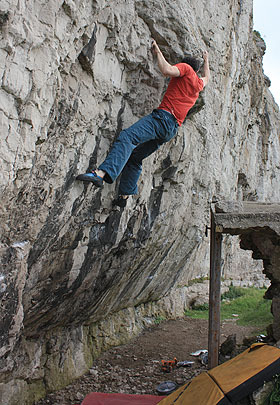 traverse the entire main wall from a sds on Pill Box Original), except that you have to then complete Last Orders, a superb 7A at the left side of main wall. Chris managed a couple of quick shakeouts before the final tricky moves but there is no real rest here. 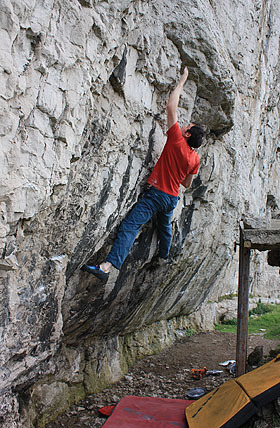 At twenty moves long a route grade may be more appropriate: F8b+/c seems likely.